India’s diversity and the continuing vibrant march of culture are cause for pride and celebration. Even after 5000 years, she has remained as diverse, reflecting a kaleidoscope of colours and culture, with each diversity being part of a fantastic whole. 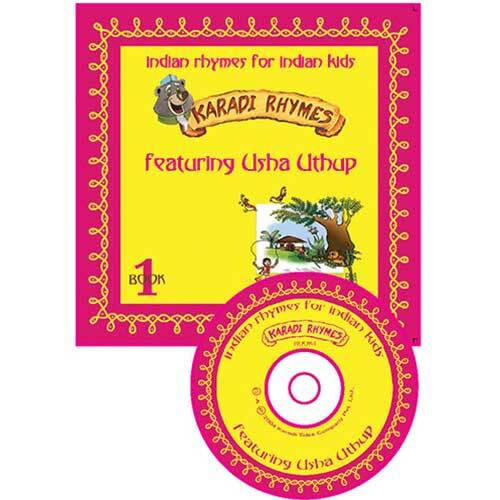 In celebration of this uniquely distinct civilization, Karadi dances into your homes and schools with rhymes that ring out the essence of an Indian childhood. Usha Uthup’s glorious voice celebrates mangoes and monsoons, festivals and families, colours and cricket, and much more.